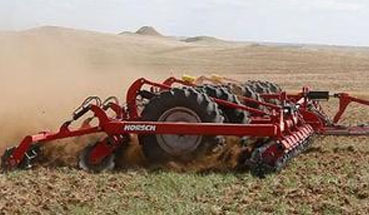 Horsch Joker High Speed Discs are a better alternative to the Lemkin vertical tillage and tandem disc harrows. 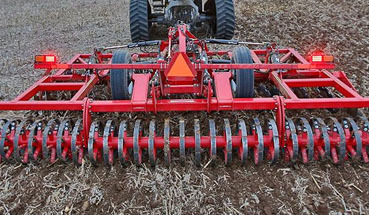 The Joker is a multi-purpose tillage tool with excellent performance in both primary and secondary tillage applications. Great replacement for field cultivators, soil finishers, tandem disc harrows and vertical tillage. Buy your new or used Horsch Joker Disc from Valley Implement! Thorough residue mixing for quick residue decomposition. Great for wetter spring conditions for preparing seedbeds. Speeds of 8+ mph depending on field conditions. Learn more. Versatile Shallow Cultivation. Great seedbed preparation, specialty crop applications, incorporating pre-emerge herbicides, fertilizer/manure mixing, residue management and field conditioning. Learn more. 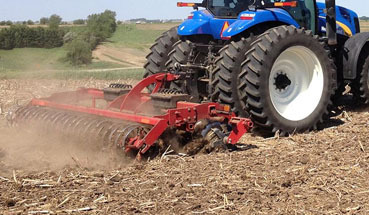 Great for shallow fall tillage mixing and leveling. High speed compact disc with 24 in. discs slices the toughest residues. RollFlex finishing system reduces clod size and thoroughly mixes soil with residue. Learn more.